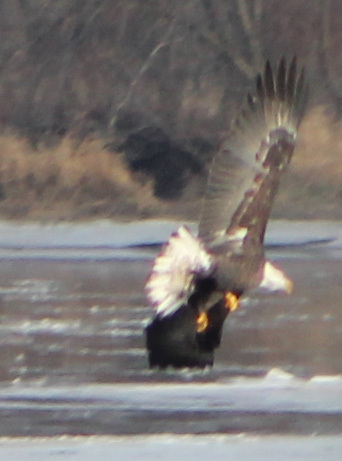 As the backwaters and river edges begin to freeze, Bald Eagles are staging in areas where they can fish. 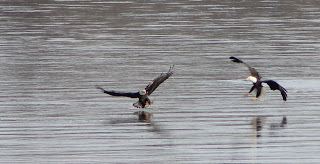 The Chippewa River as it crosses the Wisconsin Great River Road (Wisconsin State Highway 35) is a greating view point with over 100 eagles. 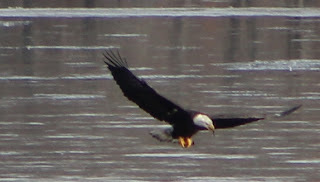 Bald Eagles are gathering on the Chippewa River and can be easily seen from the Great River Road (WI Hwy 35) bridge at the Pepin/Buffalo County line. 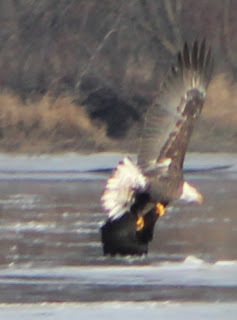 Great photo opportunities and 100+ eagles on all sides of the river. 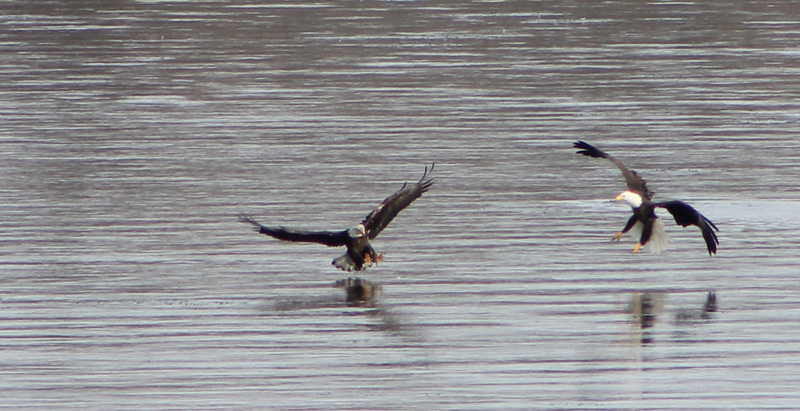 Parking area NW of bridge.